A data logger (or datalogger) is an electronic device that is used to store data over time, commonly known as data logging. This includes many data acquisition devices such as plug-in boards or serial communication systems which use a computer as a real time data recording system. Nowadays, wireless transmitters are also capable of turning a regular smart phone (or tablets) into a mobile logger. A data logging device is often battery powered for use where no electrical supply exists, data loggers accept one or more sensor inputs, sampling and saving the data at a predetermined frequency. This could be as fast as several hundred per second or as slow as several hundred per day (and faster and slower data loggers are available). What is a data logger used for? Data loggers are used wherever there is some advantage in recording conditions over a period of time. Applications range from obtaining a record of wind speed to tracking temperature in refrigerated storage containers, to monitoring flow rate at a remote pumping station. At the end of the acquisition period the device is retrieved and the data downloaded into a PC for analysis. Alternatively, data loggers are available that will wirelessly transmit measurement results to a PC with a data logging software installed. Find the Data Logger for your application using our selection tool. What are the Main Advantages of Data Logging? Data loggers benefit users in two ways. They avoid the time and expense of sending someone to take measurements in a remote location, and they enable much higher data density than is achievable through manual recording, providing higher quality data. Many different types of data loggers are available. They range from single channel devices with the sensor incorporated, to multi-channel loggers capable of acquiring from diverse sensors for extended periods. Data logging software provides the ability to configure acquisition parameters and format data outputs. How to choose a Data Logger? 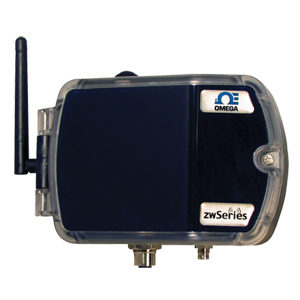 Most data loggers are general purpose devices although some are optimized for a specific type of sensor connection and reading (temperature being the most common). A data logging equipment may be selected for one particular task or as an addition to an inventory of data acquisition hardware. In either case, the needs of the intended or likely application(s) should be considered with regard to the following capabilities. A general purpose multi-channel data logger will usually accept both analog and digital inputs. Examples of analog inputs include temperature, pH and humidity. Note that analog inputs may be either single or double-ended (differential). Using differential sensors halves the number of analog inputs available. An example of this would be a multi channel temperature logger for thermocouples. Two examples of digital inputs are those from a wind speed sensor or a paddlewheel-style flow sensor. Some types of data logger are designed for specific types of sensor input such as thermocouples or atmospheric sensors (such as barometric pressure and humidity). Data loggers divide into two types: those that accept only a single sensor input (and that sensor may or may not be integrated into the unit), and those that can be connected to a number of sensors simultaneously. While a single channel data logger may be sufficient for some applications the multi-channel data logger is a more versatile device. Multichannel loggers are available with as many as 32 inputs (depending on how the device and sensors are configured). However, the most commonly used type is the 4-channel data logger as this provides a good combination of storage capacity, battery life (where used) and compact size. In many applications space is a limitation. In those cases the size of the portable data logger may be a critical selection parameter. OMEGA's OM-CP family of data loggers are extremely compact and include models for most input types. Submersible devices are also available for marine and aquatic applications. Data logging systems are available with sampling rates as high as 200 kHz while at the other end of the spectrum some can set to sample once in 24 hours. When evaluating sampling rate requirements note that memory capacity is a fixed number of data points. Thus sampling at a higher frequency fills available memory quicker. Some logger devices handle memory overload by wrapping around and overwriting, which means older data is lost. In general a data logger writes each measurement point to memory for retrieval later. However, some have the ability to output measurement results as they are taken. Look for this feature when it is important to see “live” measurement data. There are several ways of retrieving measurement results from a data logging system. For a simple USB data logger all that’s required is to collect it from the field and plug it into a PC. Data logging software is available to streamline the download process and assist with formatting for Excel® or other packages. If physically visiting the data logger is undesirable but a wired connection is feasible, alternatives are the serial data logger and the RS232 data logger. When running wires out to a remote data logger is infeasible the solution is to use a wireless data logger that transmits data to a receiver connected to a PC. Other ways of logging measurement data are the chart recorder and the real-time data acquisition system. Until the development of the data logger the chart recorder was the predominant instrument. These typically require pens and specialized paper. Moreover, the data cannot readily be moved into a PC for mathematical or statistical analysis. Real-time data acquisition systems offer flexibility but also require a direct computer connection. This limits their use in situations where data is to be acquired in a remote location or where portability is a consideration. For example, a realtime data acquisition system would not be feasible in logging temperatures inside refrigerated shipping containers. Miniature single input data loggers are generally low cost devices dedicated to a specific input type. 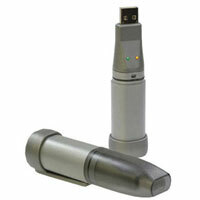 These types of data loggers are often used in the transportation industry. A typical application would be to include a temperature data logger in a shipment of food products to insure that the food temperature does not exceed acceptable limits. In addition to temperature miniature data loggers are available for a large variety of input types. most input types. A data logger provides the ability to take measurements in any location, even during transit, without human intervention. Furthermore, measurements can be closely spaced to capture transient events or far apart to maximize recording duration. Another advantage of data loggers is that the data can then be easily transferred to a PC for analysis and formatting. This significantly reduces the work required to make measurements while allowing for increased data density when needed. What is the Maximum Sample Rate for a Logger? How are the logging equipment Powered? The battery life depends on a number of parameters including the specific model and sample rate. In general the faster the sample rate the shorter the battery life. 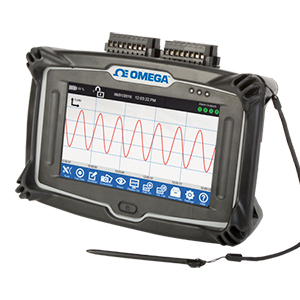 Many OMEGA data loggers feature a battery life as long as ten years. Will the Data Logger lose its Data if the Power or Battery Fails? How Long Can the devices Record Data? The recording duration is dependent on the memory capacity of the data logger and the desired sample rate. To determine the duration divide the memory capacity(number of samples the device can record) by the sample rate. As an example assume that a given data logger can store 10,000 samples. If it is desired to record 2 samples every minute, the system can run for 10,000/2 or 5,000 minutes(about 3.5 days). If the sample rate was cut in half(1 sample per minute), the recording period would double to 7 days.